Style Notes | Glad to read that Jenn Shon's Hand Ornament is back-in-stock at Planet Blue! 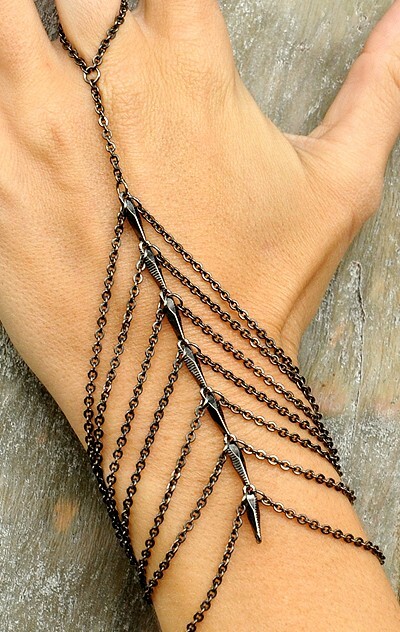 I would definitely spruce up my casual Friday outfit wearing this gunmetal-colored accessory. The design is so rock n' roll! What to wear it with? Try pairing your Hand Ornament with a loose-fitting asymmetrical top. This is so cool! I want!